Well the Wine Bloggers Conference 2016 edition is now over and Lodi, CA can go back to the harvest that is quickly approaching. This year was our first year in attendance. When we arrived in Lodi last week, we weren’t sure what to expect. Sure, we read up on the conference and joined in on the numerous web stream chats from @WineAntics. But still, we were a little unsure what would happen. If you don’t read the rest of this post, you can take away this one piece of info. We absolutely loved this conference and we gained so many valuable insights, that it will now be on our calendar for years to come. Let me first start out with a quick overview of the conference schedule. The first two days were jam-packed with information sessions, keynote speakers, panel discussions, and live wine blogging (aka speed tasting). Of course, there was plenty of time for meals, mingling, and making valuable contacts in the blogging industry. The final day of the conference was only a half day, but the ratio of insights to time spent sitting was the highest of the entire conference. I’ll get to a post about the first two days in the next coming days, but I wanted to focus on the last day first. The break out session that day only had two options, so Joe and I decided to divide and conquer. I ended up heading to the session titled “Increasing your Audience and Engagement” presented by husband and wife team @marycressler and @emberandvine. Their award-winning blog Vindulge and their popularity across their social platforms made them ideal presenters for this topic. There were so many takeaways from this session, that I now have weeks worth of homework ahead of me and I could write post after post about everything they taught me. The point that resonated with me the most was probably this; instead of trying to build an audience of new readers, we need to focus our writing and posts on those who already read our blog. By focusing on our readers we will end up writing better, writing more often, and gain a base of loyal readers. The rest of the popularity equation will eventually unfold after this first key step. So here’s to you, our loyal readers. Thank you for sticking with us and for reading each of our posts and reviews. We really appreciate your comments and feedback, so please let us know what else we can do to make it more interesting for you. We’ll be posting more about the Wine Bloggers Conference in the next coming days, so keep an eye out for more posts. 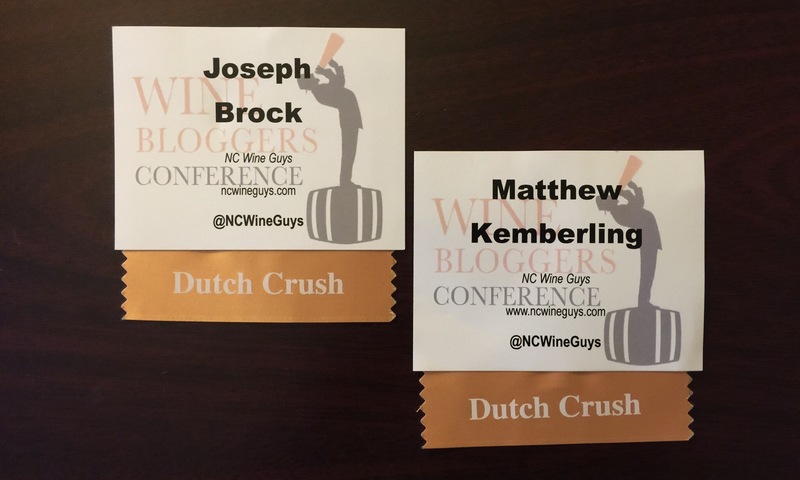 As we continue our journey of taking NC Wine to the next level, we’ll also be making a few improvements on our blog and our social media outlets. Even though we only went to one WBC so far, we feel ready to take on the world. Cheers!